We stayed at Rainbow Plantation for two months, January and February. 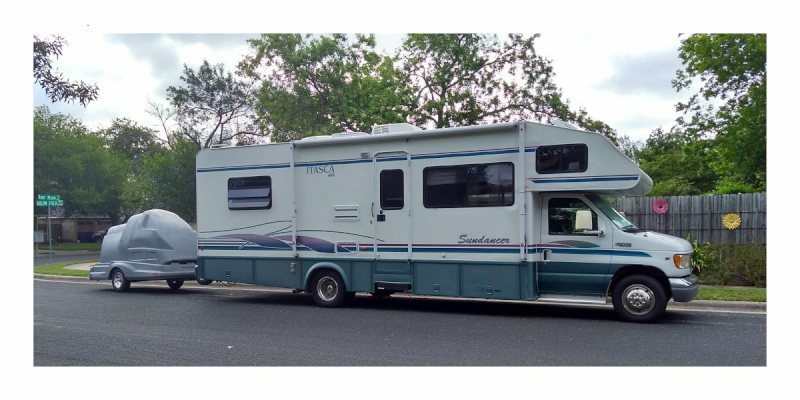 The cost per month is $350, plus electric. You do need to be an Escapees member. 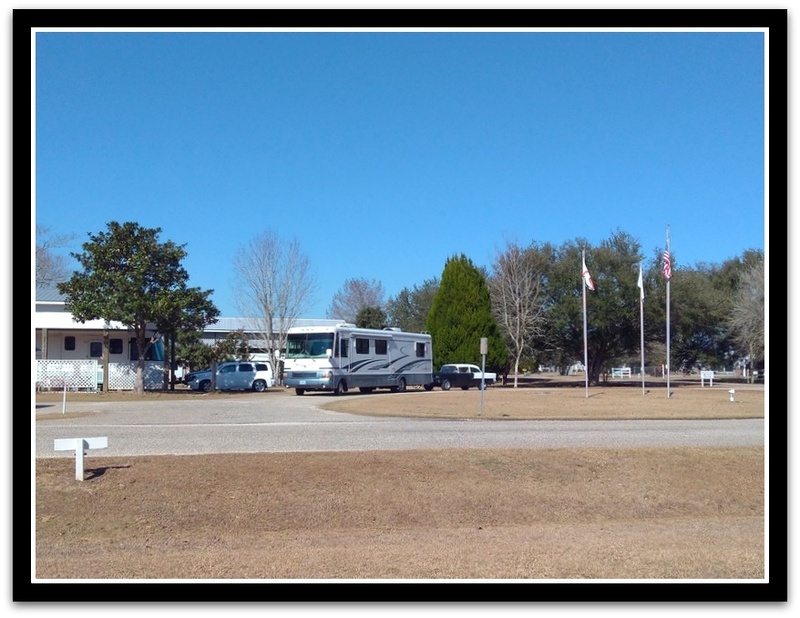 The park is split into three sections, leased/ERPU sites, RV sites, and residential lots. The park is large, but fills up quickly in the winter months. The park offers many activities and social events, and also has inexpensive dinners during the winter months. Oh, and this park is known for it's LARGE lots - look at all that elbow room! Motorcycle Friendly: This park's roads are all paved and fairly wide. Cell Service/Wifi: Verizon was 2-3 bars, without a booster. We experienced Verizon throttling cell services several times during our stay. The park has Wifi, but charges it. Amenities: The park has two unisex bathrooms with showers behind the office. 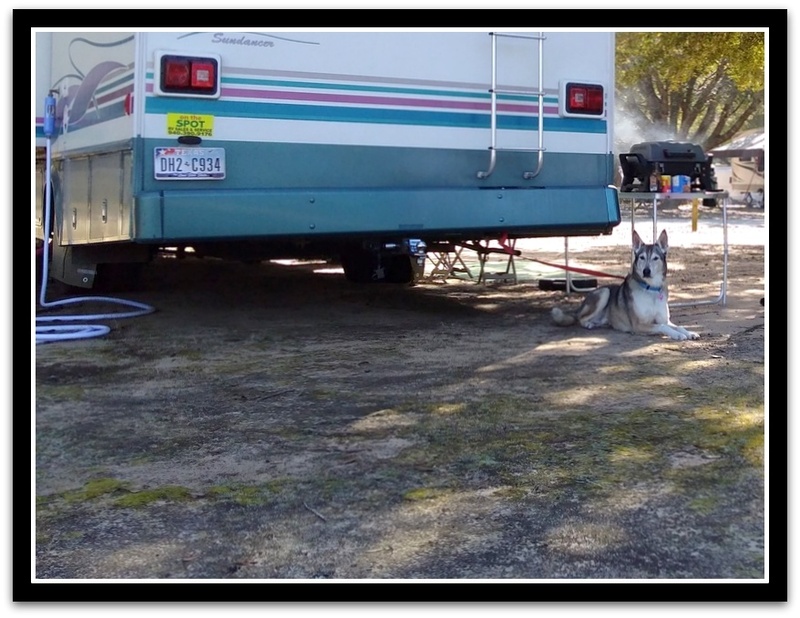 There are washers and dryers in the clubhouse, but be aware its a bit of hike from the rv sites to the laundry room. Getting There: Reaching the park is very easy - it's just minutes off Highway 59. Know Before You Go: If you need propane, we recommend stopping at Gulf Shores Building Supply, 2401 E 2nd St, Gulf Shores. 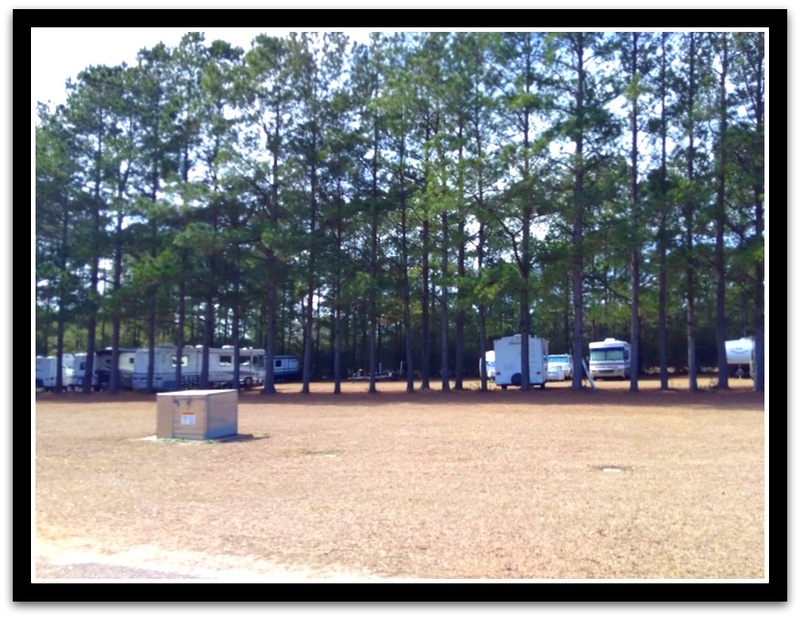 There is a large pull through area for RVs away from the main parking lot, and you can immediately pull out at a traffic light onto Highway 59. There is also a Walmart directly across the hardware store, and this Walmart does allow overnight stays. Local Stuff: Where do we start? 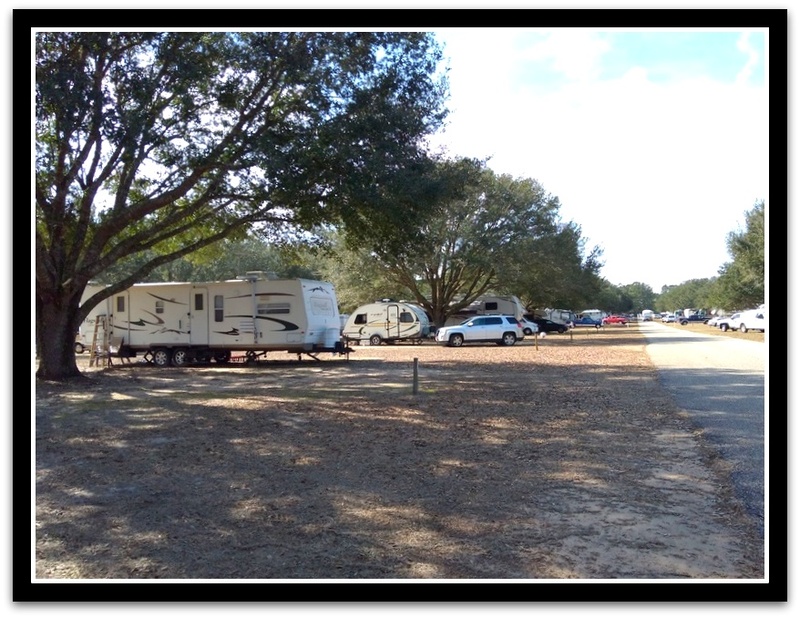 This park is around the corner from Foley and Fairhope, within 30 minutes of the beach, less than an hour to Mobile, and about 90 minutes to Pensacola. 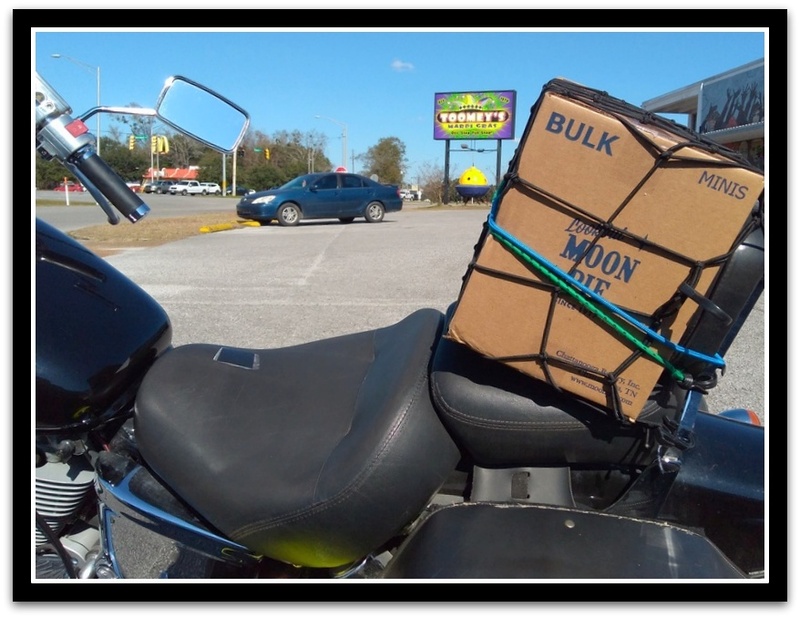 If you need groceries, there are several Walmarts, Piggly Wiggleys, and Publix in the area. While we didn't have a chance to shop at either place, we heard that the Aquilla Seafood market in Bon Secour is very good, and Rouse's Market, in Gulf Shores, has a good selection of specialty items. We also noticed there are two farm markets in nearby Loxley - which we will definitely check out next time!